Eugenio Montale (Italian: [euˈdʒɛːnjo monˈtaːle]; 12 October 1896 – 12 September 1981) was an Italian poet, prose writer, editor and translator, and recipient of the 1975 Nobel Prize in Literature. He is widely considered the greatest Italian lyric poet since Giacomo Leopardi. Montale was born in Genoa. His family were chemical products traders (his father supplied Italo Svevo's firm). The poet's niece, Bianca Montale, in her Cronaca famigliare ("Family Chronicle") of 1986 portrays the family's common characteristics as "nervous fragility, shyness, concision in speaking, a tendency to see the worst in every event, a certain sense of humour". We were a large family. My brothers went to the scagno ["office" in Genoese]. My only sister had a university education, but I had no such opportunity. In many families the unspoken arrangement existed that the youngest was released from the task of keeping up the family name. Montale was largely self-taught. Growing up, his imagination was caught by several writers, including Dante Alighieri, and by the study of foreign languages (especially English), as well as the landscapes of the Levante ("Eastern") Liguria, where he spent holidays with his family. During World War I, as a member of the Military Academy of Parma, Montale asked to be sent to the front. After brief war experience as an infantry officer in Vallarsa and the Puster Valley, he returned home in 1920. Montale wrote more than ten anthologies of short lyrics, a journal of poetry translation, plus several books of prose translations, two books of literary criticism, and one of fantasy prose. Alongside his imaginative work he was a constant contributor to Italy's most important newspaper, the Corriere della Sera, for which he wrote a huge number of articles on literature, music, and art. He also wrote a foreword to Dante's "The Divine Comedy", in which he mentions the credibility of Dante, and his insight and unbiased imagination. In 1925 he was a signatory to the Manifesto of the Anti-Fascist Intellectuals. Montale's own politics inclined toward the liberalism of Piero Gobetti and Benedetto Croce. 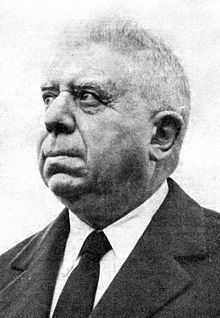 Montale's work, especially his first poetry collection Ossi di seppia ("Cuttlefish Bones"), which appeared in 1925, shows him as an antifascist who felt detached from contemporary life and found solace and refuge in the solitude of nature. Codesto solo oggi possiamo dirti, ciò che non siamo, ciò che non vogliamo. Translated to: Only this is what we can tell you today, that which we are not, that which we do not want. The Mediterranean landscape of Montale's native Liguria was a strong presence in these early poems: they gave him a sort of "personal seclusion" in the face of the depressing events around him. These poems emphasise his personal solitude and empathy with "little" and "insignificant" things, or with the horizon, the sea. According to Montale, nature is "rough, scanty, dazzling". In a world filled with defeat and despair, nature alone seemed to possess dignity - the same as the reader experiences in reading his poems. Montale moved to Florence in 1927 to work as editor for the publisher Bemporad. Florence was the cradle of Italian poetry of that age, with works like the Canti orfici by Dino Campana (1914) and the first lyrics by Ungaretti for the review Lacerba. Other poets like Umberto Saba and Vincenzo Cardarelli had been highly praised. In 1929 Montale was asked to be chairman of the Gabinetto Vieusseux Library, a post from which he was expelled in 1938 by the fascist government. By this time Montale's poetry was a reaction against the literary style of the fascist regime. He collaborated with the magazine Solaria, and (starting in 1927) frequented the literary café Le Giubbe Rosse ("Red Jackets") on the Piazza Vittoria (now Piazza della Repubblica). Visiting the café often several times a day, he became a central figure among a group of writers there, including Carlo Emilio Gadda, Arturo Loria and Elio Vittorini (all founders of the magazine). He wrote for almost all the important literary magazines of the time. Though hindered by financial problems and the literary and social conformism imposed by the authorities, in Florence Montale published his finest anthology, Le occasioni ("Occasions", 1939). From 1933 to 1938 he had a love relationship with Irma Brandeis, a Jewish-American scholar of Dante who occasionally visited Italy for short periods. After falling in love with Brandeis, Montale represented her as a mediatrix figure like Dante's Beatrice. Le occasioni contains numerous allusions to Brandeis, here called Clizia (a senhal). Franco Fortini judged Montale's Ossi di seppia and Le occasioni the high-water mark of 20th century Italian poetry. T.S. Eliot, who shared Montale's admiration for Dante, was an important influence on his poetry at this time; in fact, the new poems of Eliot were shown to Montale by Mario Praz, then teaching in Manchester. The concept of the objective correlative used by Montale in his poetry, was probably influenced by T. S. Eliot. In 1948, for Eliot's sixtieth birthday, Montale contributed a celebratory essay entitled "Eliot and Ourselves" to a collection published to mark the occasion. From 1948 to his death, Montale lived in Milan. After the war, he was a member of the liberal Partito d'Azione. As a contributor to the Corriere della Sera he was music editor and also reported from abroad, including Israel, where he went as a reporter to follow Pope Paul VI's visit there. His works as a journalist are collected in Fuori di casa ("Out of Home", 1969). La bufera e altro ("The Storm and Other Things") was published in 1956 and marks the end of Montale's most acclaimed poetry. Here his figure Clizia is joined by La Volpe ("the Fox"), based on the young poet Maria Luisa Spaziani with whom Montale had an affair during the 1950s. However, this volume also features Clizia, treated in a variety of poems as a kind of bird-goddess who defies Hitler. These are some of his greatest poems. His later works are Xenia (1966), Satura (1971) and Diario del '71 e del '72 (1973). Montale's later poetry is wry and ironic, musing on the critical reaction to his earlier work and on the constantly changing world around him. Satura contains a poignant elegy to his wife Drusilla Tanzi. He also wrote a series of poignant poems about Clizia shortly before his death. Montale's fame at that point had extended throughout the world. He had received honorary degrees from the Universities of Milan (1961), Cambridge (1967), Rome (1974), and had been named Senator-for-Life in the Italian Senate. In 1973 he was awarded the Golden Wreath of the Struga Poetry Evenings in Struga, Macedonia. In 1975 he received the Nobel Prize for Literature. Montale died in Milan in 1981. In 1996, a work appeared called Posthumous Diary (Diario postumo) that purported to have been 'compiled' by Montale before his death, with the help of the young poet Annalisa Cima; the critic Dante Isella thinks that this work is not authentic. Joseph Brodsky dedicated his essay "In the Shadow of Dante" to Eugenio Montale's lyric poetry. ^ "Nobel Prize". Retrieved 15 October 2015. ^ "Villa Montale in Monterosso". ^ Sarti, Roland (2009). Italy: A Reference Guide from the Renaissance to the Present. Infobase Publishing. p. 417. ^ Ceallachain, Eanna (2017). Eugenio Montale: The Poetry of the Later Years. Routledge. ^ Montale 1948, pp. 190-195. Wikimedia Commons has media related to Eugenio Montale. "Montale at the Nobel E-Museum". nobel.se. This page was last edited on 7 April 2019, at 11:04 (UTC).